The story of sexual abuse of children by Catholic priests has sent shock waves around the nation and will not fade from consciousness or the news. We ask, "How could this happen?" And then we ask, "How could the Catholic Church let this continue for so long--in seeming silence and duplicity?" Paul R. Dokecki, a community psychologist at Vanderbilt University, an active Catholic, and a former board member of the National Catholic Education Association, investigates the crisis not only with the eye of an investigative reporter, but with the analytical skills and training of a psychologist as well. Moreover, he lays the foundation for reasonable and practical reform measures. Through the scandal in the Archdiocese of Boston as well as the earlier, if less well known but momentous, case in the Diocese of Nashville, Dokecki reports on and analyzes what is ultimately an abuse of power--not only by the clergy but by church officials. As distasteful as these instances may be, they are compelling reading, enlightened by the author's abilities to contextualize these events through the lenses of professional ethics, the human sciences, and ecclesiology. 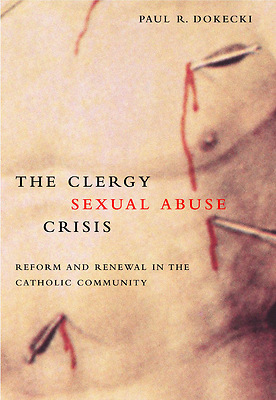 According to Dokecki, these and other instances of clergy sexual abuse reveal a systemic deficiency in the structure and the nature of the church itself, one that has prevented the church from adequately dealing with its own worst sins. Dokecki may shine a spotlight into the church's dark corners--but he does so in the service of enlightenment, calling the church back toward the vision of Vatican II and the spirit of Pope John XXIII--toward a greater transparency, a more open and participatory governance in the church, and for a greatly expanded role for the people of God who make up the church. It is in this way, Dokecki believes, the church will be better able to keep the innocent children of the church safe from harm.